This isn’t about mojo. Forget about being hip. I’m not talking about vintage gear. This is a passionate plea for musicians of all stripes to consider buying used gear. Ordinary, few-years-old, looks-like-it’s-been-loved, might-not-have-the-original-box used gear. I know the holidays are right around the corner. Stores are filled with fingerprint-free, shiny new products. Sales promotions tell us that they’ll never be this cheap again, that they’re better than last year’s models. It’s tempting. But the reality is that nearly all those new pieces of gear will never be that expensive again. And they aren’t always better than what has come before (except perhaps for controllers, software and synths - I'm admittedly not focusing on these). Guitars, basses and amps haven’t changed much in over half a century. Drums, brass and wind instruments have changed even less. Quality control ebbs and flows. New technology doesn’t always add value (Exhibit A: Gibson’s ETune system). So why do we still lust after the latest releases? Novelty maybe. But many of the “new” models are reissues that don’t really offer true novelty. I believe it has more to do with status and uncertainty. Status because - as an American - I don’t want someone’s leftovers. Uncertainty because used items raise questions. What if it doesn’t work properly? What if it smells like a chain-smoking cat that bathes in its own urine? What will people think of me when they see I own something with a replaced knob? If these questions resonate with you, I can empathize. Writing this was as much an exercise in countering my own skepticism as it was anything else. If you must have glamorous gear, Reverb has plenty of brand new, boutique and vintage items. Have at it. This is for people like me: blinders on, distracted by the shiny new toys in the window, needing someone to remind us of the merits of used gear. Reason #1: Used music gear is more affordable. Looking to record at home? A Focusrite 2i2 audio interface for $95 or $150. A Shure SM57 mic for $80 or $100. Maybe you want to step up with an Apogee Duet 2 for $300 or $600. Looking to get loud? 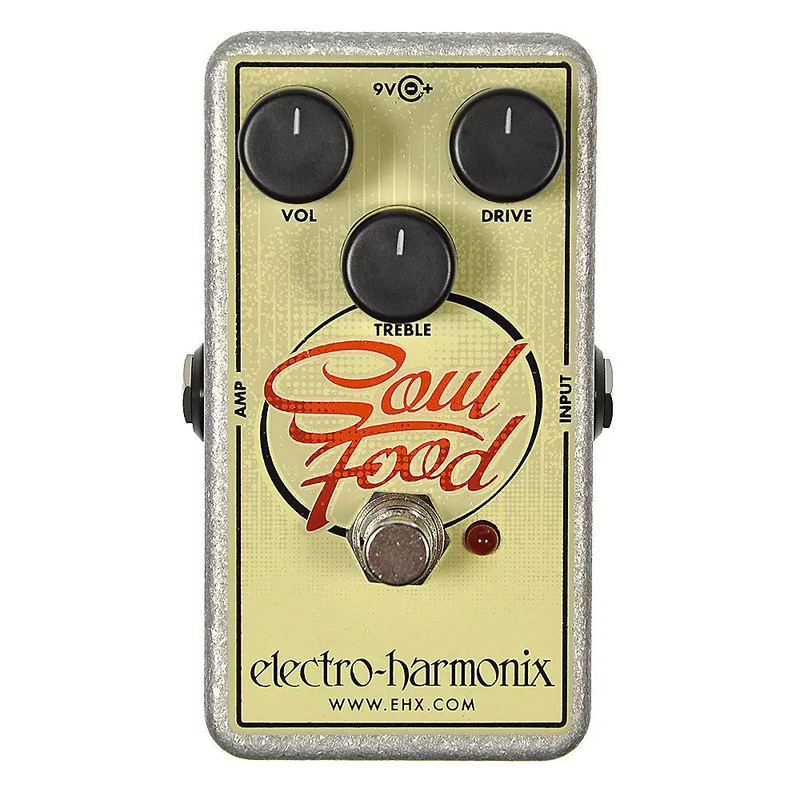 An EHX Soul Food overdrive for $45 or $78. A Gibson Les Paul Standard for $1300 or $2500. A Fender ‘65 Twin Reverb reissue for $650 or $1500. I could go on, but you get the point. These aren’t fictional examples. These are real choices available to you, the consumer, right now. New and used. Can you tell the difference? And what’s the trade-off? Some smudges, scuffs, wear. Maybe there’s no box or case candy. But the dented SM57 with slight duct tape residue on it is going to work exactly the same as one from the factory. No one’s going to see you using it in your bedroom. If warranties or return policies are your holdout, consider that all transactions on Reverb are fully protected. Sellers are asked to define clear return policies that they’re accountable for. And many B-Stock items listed as used are still under limited warranty. Reason #2: Used music gear retains its value. Like a new car losing value as soon as it drives off the lot, a new guitar, bass, synth or amp immediately loses value once you open that box and turn it on. Once a new release has been out for six months or so, the used market for that item stabilizes. You can essentially buy it for market price, play it for years, and resell it for the same price you bought it at. Or make money on it. As someone who has seen thousands of transactions every day on Reverb for almost three years and has participated in the marketplace myself, this is not an opinion. This is a fact rooted in data. Unlike cars, whose value depreciates over time - due to the expendable nature of the parts, increasing operating costs, and features on newer models driving demand - most instruments and amps maintain a stable market value for long periods of time. They haven’t really become obsolete, provide the same utility as most new instruments, and don’t suffer from wear and tear to the same degree. Unless some new guitar comes to market next year that makes six steel strings on a wood body with magnetic pickups seem ancient and silly, or people stop being interested in playing and owning guitars, you can count on the market for non-vintage used guitars to remain relatively stable. Reason #3: Used music gear offers way more choice. Manufacturers tend to chase the same trends at the same times. Buying new means being limited to this year’s finishes, features and specs. If you think about the total amount of music gear in existence - all the guitars, amps, effects, basses, drums, keyboards, synths, woodwinds, brasswinds, controllers, etc. - I’d be willing to bet that less than 10% of it is brand new. That means the vast majority of music-making tools out there are used. They also represent a much more diverse set of options. Who is making anything like the Gretsch Super Axe these days, or the Ovation Breadwinner? If that’s your kind of funky, good luck finding it in a warehouse of new products. Not only does used gear offer more diversified choice, it also offers the same choice for less money (see Reason #1). If you’ve been dying to get your hands on an ES-335 but balk at the MSRP, there are plenty of more affordable used specimens and out-of-production guitars from Orville, Ibanez or Greco that get you there. Reason #4: Used music gear comes with stories. I suppose new gear has a story, too. Parts were sourced from a mosaic of suppliers, usually abroad (think about tubes, tonewood, circuitry, etc. ), assembled in a factory by someone who may not even play music, and then shipped to a warehouse or dealer. But when I bought my Gibson ES-137 Custom from a seller on Reverb, I learned that a man named Hank got the guitar from his wife as an anniversary gift in 2003 after both their daughters were in college, that he had a jazz group named The Hotcakes that would play George Benson and Larry Carlton covers (he even sent me a CD), and that he was selling the guitar because of unexpected medical costs. I felt closer to another person. I knew I was helping someone out who needed it. And I knew what sort of life the guitar had lived, what sort of energy it had been absorbing all this time. That sort of human connection isn’t usually possible when buying from a warehouse. Reason #5: Buying used gear helps your fellow musicians. Buying gear directly from another musician is one of the most supportive acts you can do. Circulating used gear among musicians keeps money in the pockets of people making music. Most gigging musicians are not exactly rolling in the dough, so selling their gear is often the main way they are able to update their rig. When they sell direct to another individual through a marketplace like Reverb, they are able to sell for higher prices and keep more of that money than if they’d brought it into a shop. 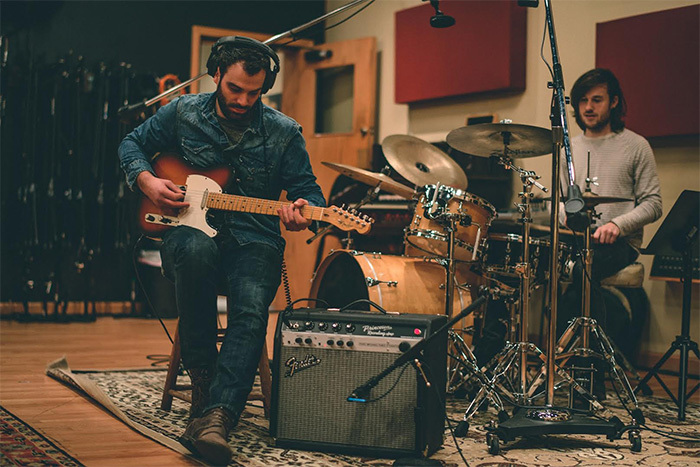 Even if you sell to or buy used gear from smaller brick-and-mortar shops, you’re helping musicians. They are usually run by a handful of people who are musicians themselves, not MBAs. And the original person who brought the item in is still getting paid. Reason #6: Buying used music gear is more sustainable. This one is pretty simple. Most instruments are not disposable. When cared for, they can still make compelling music many decades after they’re produced. As more and more new music gear is produced, the total volume of music gear out there grows. At what point is there a guitar for every man, woman and child in the world? Is that a saturation point? If music gear isn’t necessarily getting better - and doesn’t really fail or become obsolete in the same way that happens with cars - do we really need more of it at that point? I’m drooling over the new Gibson ‘64 ES-345 as much as the next person. 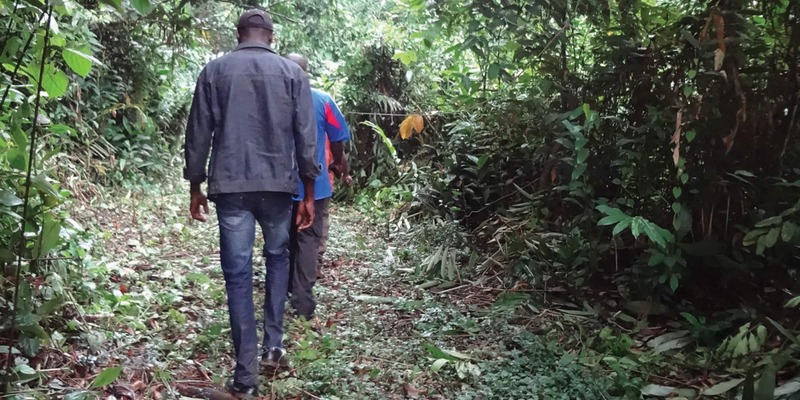 But at some point continuous production of the same non-disposable product becomes a wasteful use of timber, metal and transportation resources. The traditional woods used to make guitars are dwindling in supply. What does this mean for the future of our industry? Reason #7: Used music gear doesn’t have to be babied. Gear should never be neglected. By all means, please change those strings, clean that fingerboard, protect it when traveling and be mindful of the temperature and humidity of the spaces you leave it in. But I don’t have the same neurotic protectionism with my guitars that have pickguard scratches and a few dings when I leave them on stage as I do with a brand new, mint instrument. It doesn’t mean I take less care of my used gear. It’s just that I have greater peace of mind. At some point that first scratch, scuff or ding will occur. Some owner has to take that blow to their nerves and blood pressure. Why not let the instrument’s previous owner be that person? 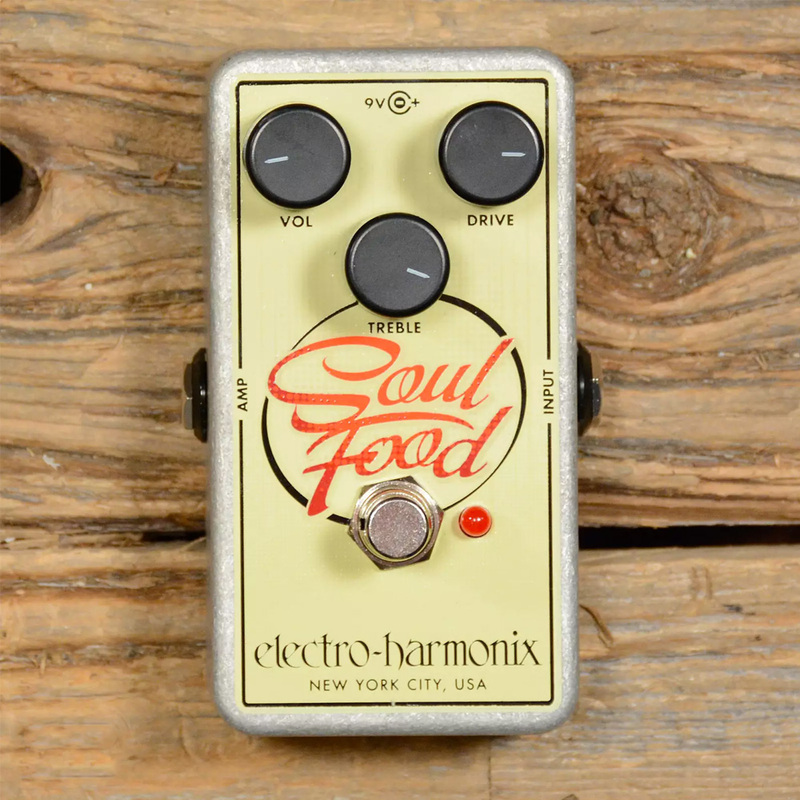 There are plenty of used instruments, amps and effects out there in mint condition, but it’s still less of a spiritual hit should anything happen to it after five years in the wild versus five weeks out of the factory. Reason #8: Used music gear has been real world-tested. Lemons exist in the car world, and they exist in the gear world. Quality control varies by manufacturer and era, but somehow there are always ones that slip through. They don’t feel right or have a faulty part. When manufacturers themselves catch these, they are sent to a refurb house where they are remedied and sold as B-Stock at a deep discount. Technically, this is sold as used gear. Its brief life as a brand new product surfaced something wrong and led to a fix and a lower price. Buyers of these used items benefit. When a consumer catches a lemon or something fails, they can often exercise the warranty. Sometimes they can’t, and it comes out of their pocket. Either way, the next buyer didn’t have to deal with the hassle of that initial shakedown cruise. Reason #9: Used music gear develops its own sonic character. Everyone has played an instrument that just feels open and at home. After Dana Bourgeois explained the science behind the tone of aged wood to me, I’ll never think about acoustic instruments the same way. The curing and working of wood over time as it is exposed to oxygen and repeated vibrations from playing is a real phenomena that results in a more immediate response and a drier, open sound. Beyond that, wood will take on emphasized frequencies based on what’s been played on it for many years. But the virtue of buying older instruments doesn’t only relate to tonewoods. Hardware settles into place. Parts get used to the duty of holding a certain tension. Previous owners (if they receive what the instrument tells them) learn what string gauge and tuning really brings out the best in an instrument. Speakers on amps get broken in and become biased to the frequencies they are constantly exposed to. Electronic components in synths age and drift over time, giving that synth its own character. Dave Smith even put a control on his new synths that can increase the amount of “drift” for a vintage tone. In this way, there really are ghosts in the machine. The passions and vibrations of past players live on in the sonic signature of the gear. Are Torrefied Tops the New Industry Standard? 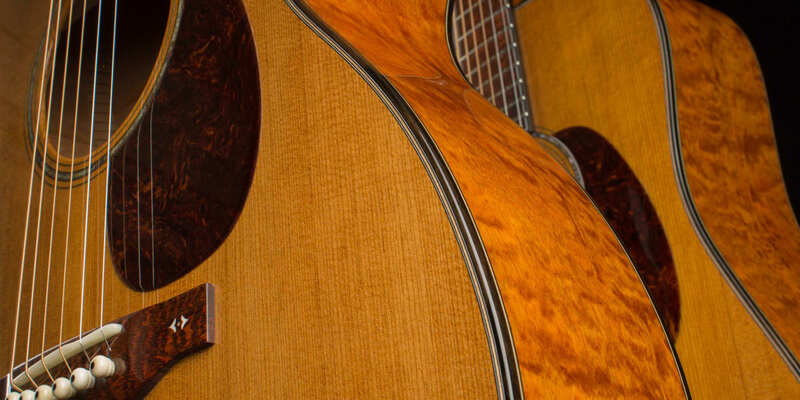 What do charcoal, oak wood flooring and the tops of many new acoustic guitars have in common? You might be surprised. Reason #10: Used music gear is sometimes better than factory spec, for less money. 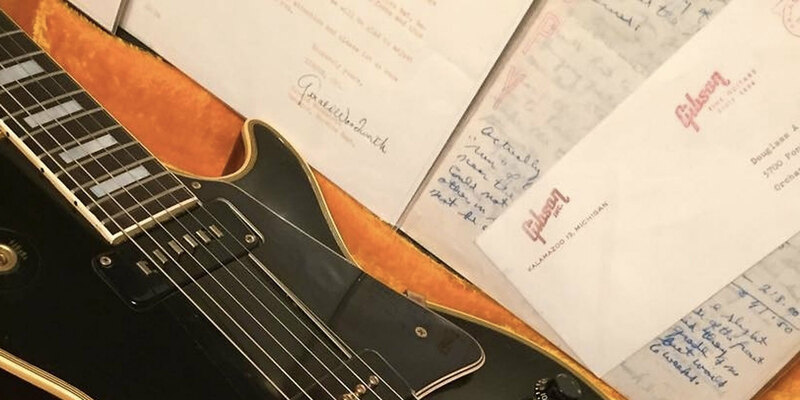 At the $400 mark on Reverb, you might see a made-in-Mexico Telecaster with a Charlie Christian neck pickup or a Vox AC15 with upgraded tubes and Eminence Cannabis Rex speakers. At the $400 mark in the world of brand new gear, you might find a Squier Classic Vibe Telecaster or a Line 6 Spider Jam amp. I’m not saying the Squier or Line 6 aren’t solid options. But given the choice - which is what used gear provides - which would you rather have? Maybe you don’t trust or want to deal with someone else’s mods. Or the shred of uncertainty that comes with any piece of used gear. That’s fine. Used gear is not for the timid or faint of heart. But when you’re focused more on making music than basking in the smell and glow of a new instrument, you start to wring sounds out of your gear that surprise and delight you. Isn’t that why we all buy gear in the first place?